As we count down till new years we thought that we’d list of a few of the highlights for Coquitlam Search and Rescue in the form of the top five SAR call outs we responded to this year. As we mentioned in our post on the year in statistics, Coquitlam SAR responded to more calls this year than any other in our history – but a few of these calls were memorable for various reasons. We present these below. 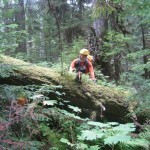 On July 31st the team was activated for a SPOT (Satellite messenger) activation in the upper Pitt River valley. The subject was older, but described as an experienced outdoorsman. Due to the remote location and the nature of the call, the team responded with Talon helicopters and a crew of our rescuers. 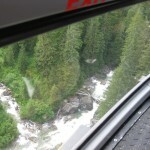 The helicopter proceeded to the location that the SPOT alert indicated and found a number of men fishing on the bank of the upper Pitt River. The helicopter landed and one of our rescuers proceeded to interview the fishermen who were astonished to discover they were the subject of the search. 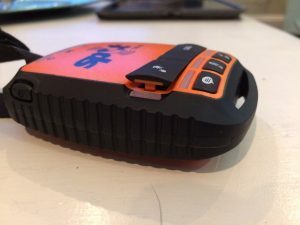 It appears that one of the men owned a SPOT device and it had been accidentally triggered while in his pack. The device, pictured to the right, had a damaged cover on the alert button. It was nice to be able resolve a case like this so quickly, and gave us an opportunity to educate the public on issues around satellite alerting devices. 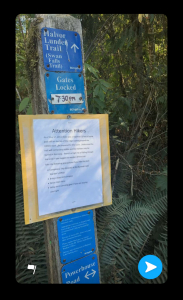 On September 3rd the team was activated for three teens who had gone hiking in the Buntzen Lake area. A friend of the family had alerted the team that they were late returning from the hike, however she did not know where the boys had planned to hike. 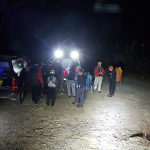 The team responded to the Buntzen Lake area with the intention of starting a search from all major trailheads in the area – a time and resource intensive task. However, one of our SAR Managers asked a few additional questions that we’ve added to our missing persons report – did the boys have any social media accounts. 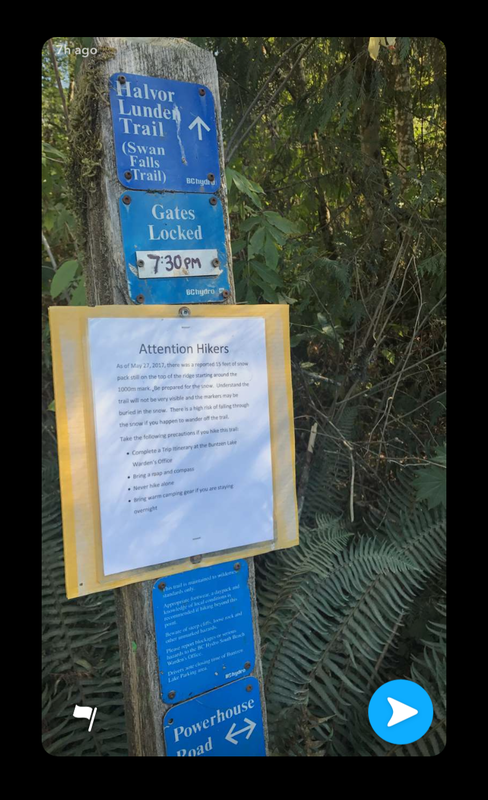 This led to us to contact a friend of the missing hikers who was good enough to inform us that one of the three had been posting photos to Snapchat all day. The friend proceeded to send the photos. As you can see in the photo to the right, it was relatively simple for the team to determine what trail they had started on, and the subjects were located soon after. 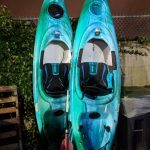 Coquitlam SAR regularly uses social media to assist us in locating missing people, but this example worked out particularly well and reminded us why we take the time to investigate even while the search is happening. 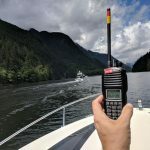 On July 25th Coquitlam SAR was activated by Port Moody Police for a report of calls for help near Sasamat Lake. 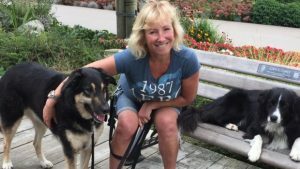 A hiker had heard several, panicked and frantic calls for help while she was hiking uphill. Fearing an injury or something worse, the team was activated and proceeded to launch an intensive search of the location where the hiker reported the calls for help. Later in the afternoon the hiker was good enough to assist the team by showing us where she had heard the calls for help. By moving SAR members through the bush nearby, and using triangulation and mapping tools, we were able to determine the location where the calls for help originated. 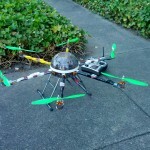 After an extensive grid search of the area, and with nothing found, the team stood down. Our working theory is that someone was on a nearby trail and possibly sighted a bear. Calling for help several times spooked the bear and the wildlife encounter ended peacefully. We’re very happy that we were called to assist on this one – the hiker did the right thing by calling for help. On June 29th several hikers on Eagle Ridge reported hearing distinct repeated whistle blasts near the summit of Dilly Dally peak. We recommend that all hikers carry a whistle because they are easier to hear at longer distances than a human voice. The hikers, unable to locate the source of the whistle, called 911 and activated Coquitlam Search and Rescue. 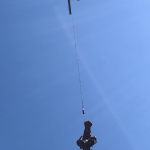 Because of the nature of the alert and the location we launched a full team call-out and brought in Talon Helicopters to transport rescuers to the summit of Eagle Ridge. The field teams were quite confused to be unable to locate anyone in distress, but did report hearing the call of the Varied Thrush in the area. The Varied Thrush, pictured to the right, is well known to SAR members in British Columbia as the “whistle bird” or the “Fox 40 Bird” because its call sounds just like a commonly available safety whisle. Listen to the video below if you want to hear what this sounds like. Soon after our field teams reported hearing the bird, another group of hikers several kilometres away from the first call dialed 911 and reported hearing whistle blasts near them. Not long after this, the hikers who had reported the first whistle calls arrived at the command truck. 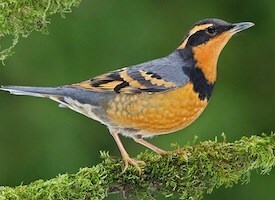 We played recordings of the Varied Thrush for them and they agreed that what they heard was the bird. Although this was a false alarm, we still are glad that members of the public were smart enough to call 911 when they thought someone was in trouble. Of course the most memorable task for Coquitlam SAR along with most people in British Columbia was the rescue of Annette Poitras. Annette went missing on Monday November 20th. To members of our team, this search started like so many others we’ve responded to over the years – similar to other dog walkers we’ve searched for. The thought of one of the SAR Managers who took the call was that it was likely she’d be found even before we arrived on scene. As we now know, this was not the case. 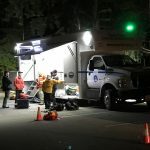 The search for Annette and the three dogs drew a lot of media attention, and showed our team the value of the support of our community – both the SAR volunteers who responded to assist from 19 SAR groups around BC, and the donations we’ve received from the members of the public since the search. This task will likely remain the highlight of our team for many years to come.